※ One of the best ways to save workers backs. ※ Automatically keeps the load at an optimum working height when loading or unloading. ※ Built-in turntable allows simple load rotation and access to all sides. 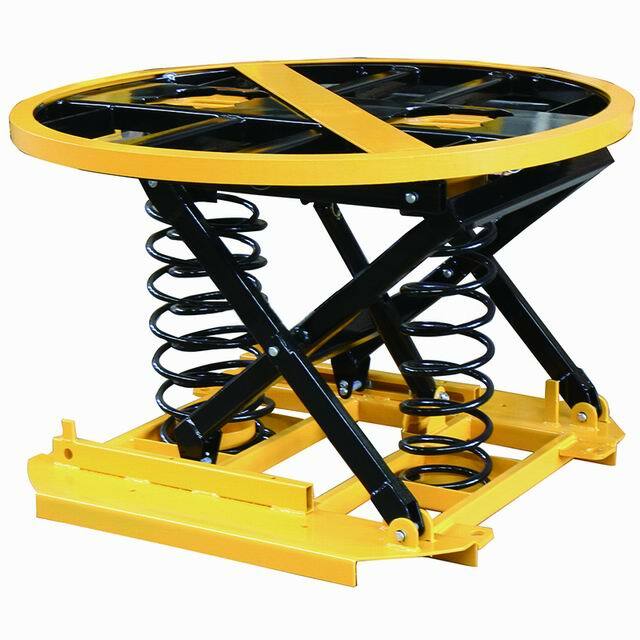 ※ The springs are chosen to match the weight and height of a fully loaded pallet. 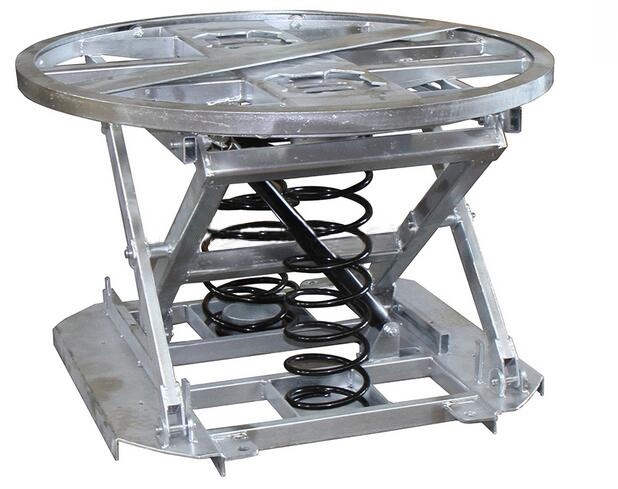 ※ With a shock absorber to eliminate tendency for the load to bounce on the springs. ※ Hot-dip galv. version available.